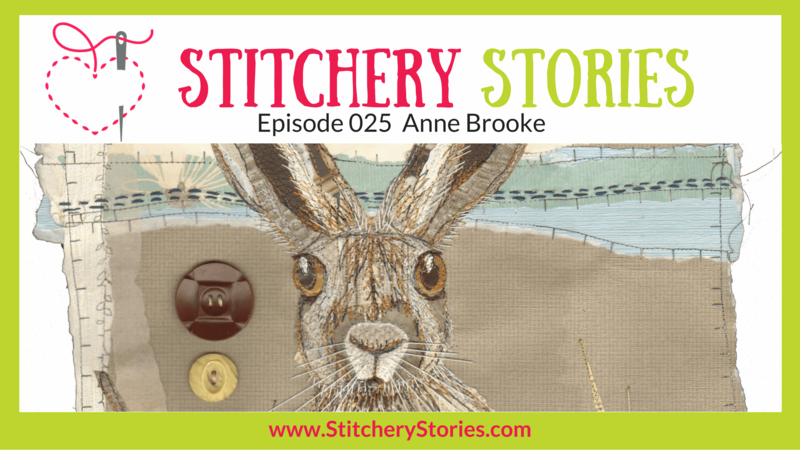 Today on the Stitchery Stories textile art podcast, Anne Brooke shares her techniques and inspiration behind her stitched multimedia collages. A key feature of her work is to stitch onto paper, although she is now venturing into using fabrics, particularly vintage embroidered pieces. Her work is inspired by journeys – her walks and travels, as well as the life journeys undertaken by the vintage fabrics she uses and the work when it leaves her hands. 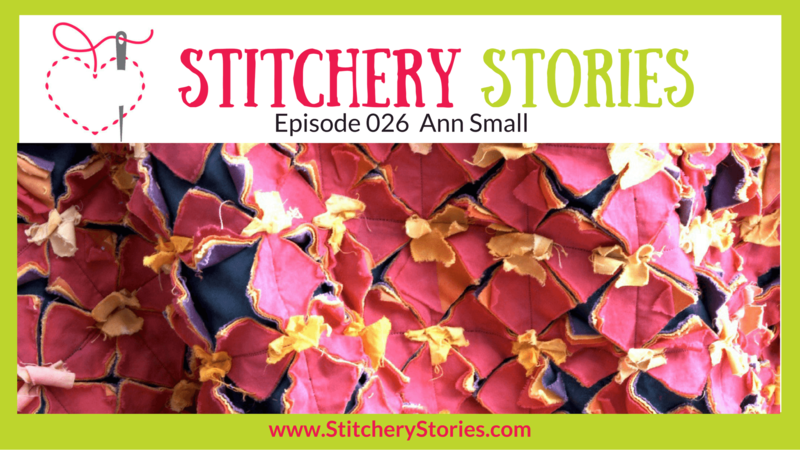 Today on the Stitchery Stories textile art podcast, Annie Taylor shares her wonderful stories around the stories she creates and tells with her textile art. Before I introduce this very entertaining episode please note there is no swearing in this episode despite the title of the group and episode. Please listen – this is a lovely story. 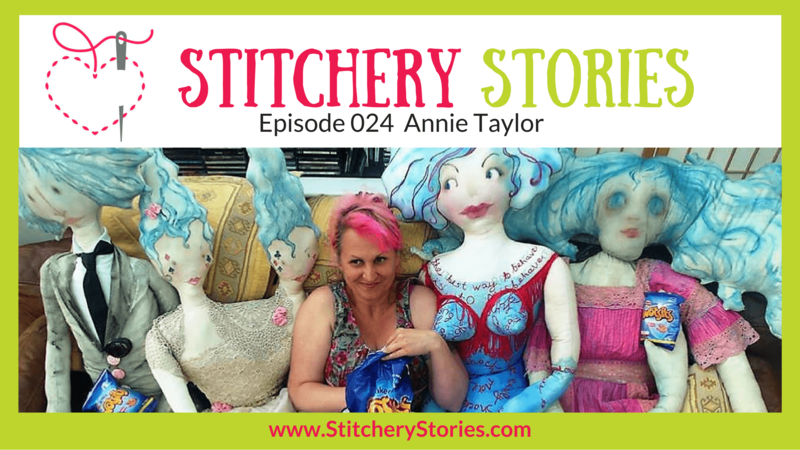 Today on the Stitchery Stories textile art podcast, Annie Taylor & Bridget Carpenter share their hilarious stories around their ‘rather different’ embroidery group – yes, it’s the Profanity Embroidery Group. Formed by accident in 2014, and meeting in the local pub, this group has huge fun. They create and exhibit beautiful textile art and embroidery based around profanity, as well as some feminist issues. Their current project however, features anonymous Stitched Secrets that have been sent in from around the world. Some funny, some shocking, some very moving. 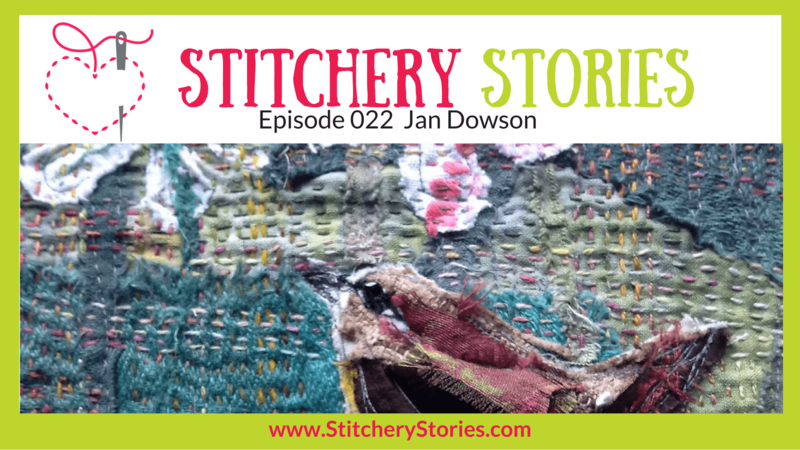 Today on the Stitchery Stories textile art podcast, Jan Dowson shares her joy of teaching textile art over 20 years and in the process facilitating 8 students who achieved City & Guilds Gold Medals. Jan has also received a City & Guilds Gold Medal for teaching as well as 2 other prestigious awards. Following retirement, it’s now ‘her time’ so Jan can focus on her own textile art and enjoy her own creativity. 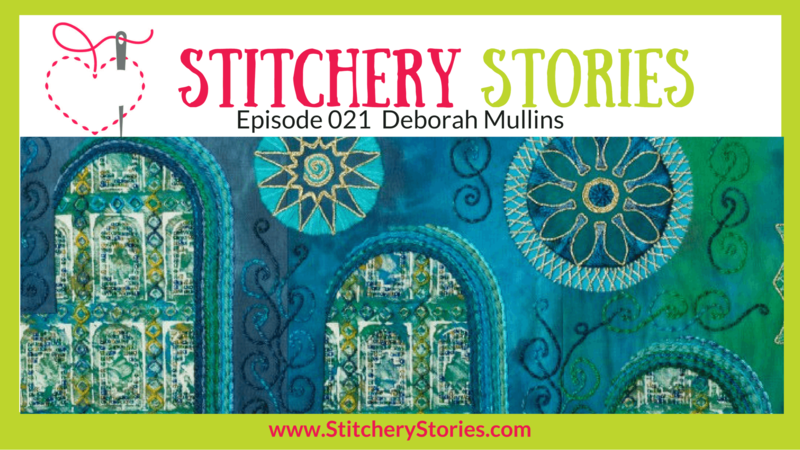 Today on the Stitchery Stories embroidery podcast, Deborah Mullins shares her passion for Palestine. The beautiful traditional embroidery and the places and people – as well as a deep sadness at the ethnic cleansing, displacement & social injustice experienced within that land. 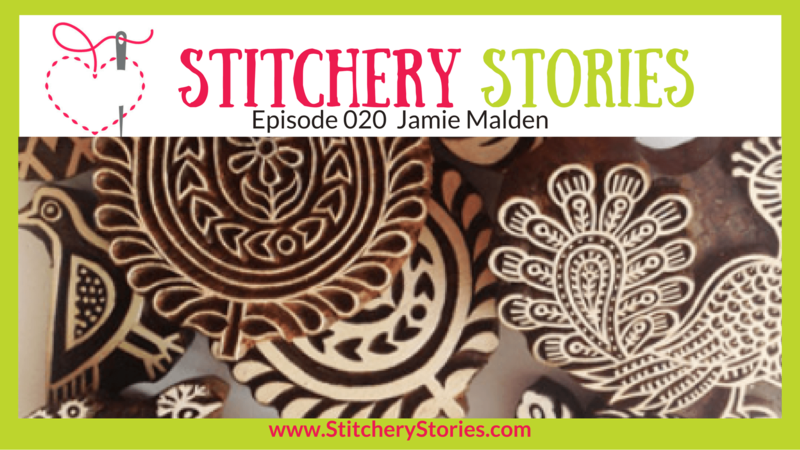 Today on the Stitchery Stories textile art podcast, Jamie Malden from Colouricious.com shares her enthusiasm, knowledge and great joy of block printing. We also chat about the unique and authentic experiences which are part of the Colouricious textile holidays to destinations such as India, and beyond! 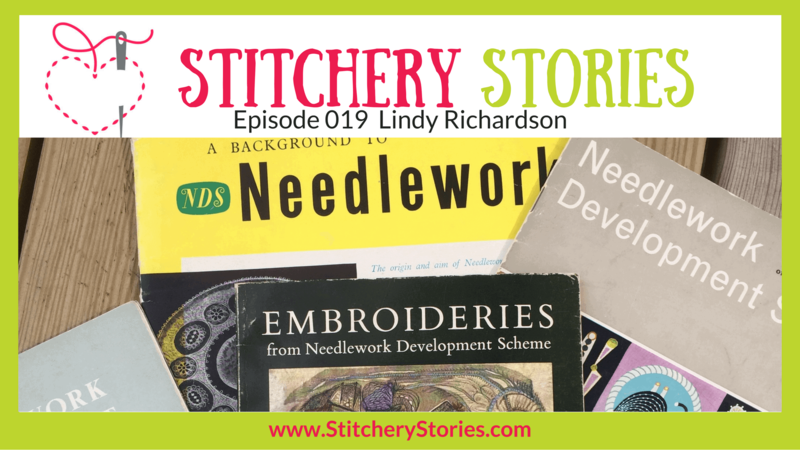 Today on the Stitchery Stories embroidery podcast, Lindy Richardson shares her current research project. She chats with Susan Weeks about the collection of historic embroidery held by Edinburgh College of Art which was originally part of the Needlework Development Scheme. 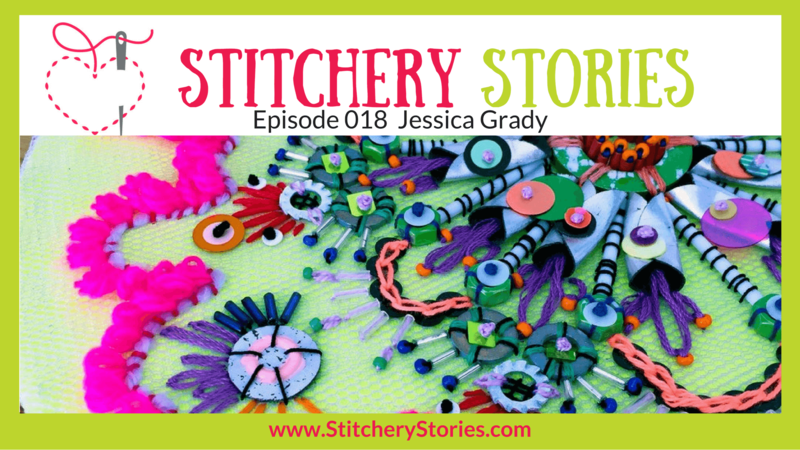 Today on the Stitchery Stories embroidery podcast, Jessica Grady shares her life in fabric and thread. 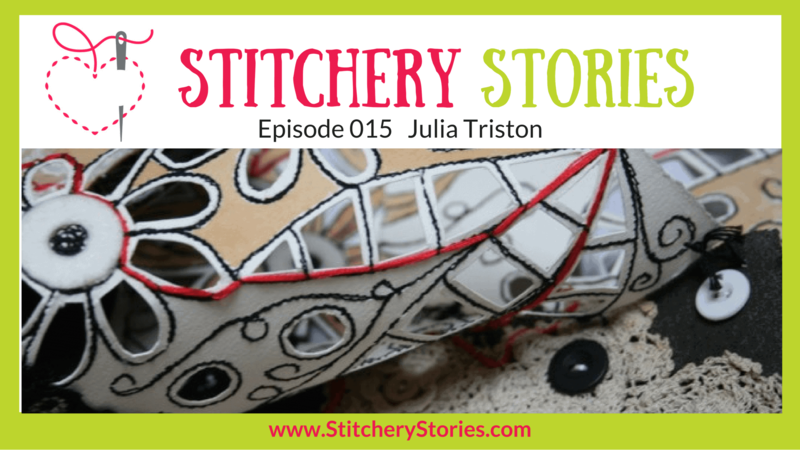 She chats with Susan Weeks about building her business after graduating from a textiles degree. Jessica has developed a very original style and features bright bold colours, and heavily embellished pieces, using traditional embroidery stitches with modern and unusual materials.